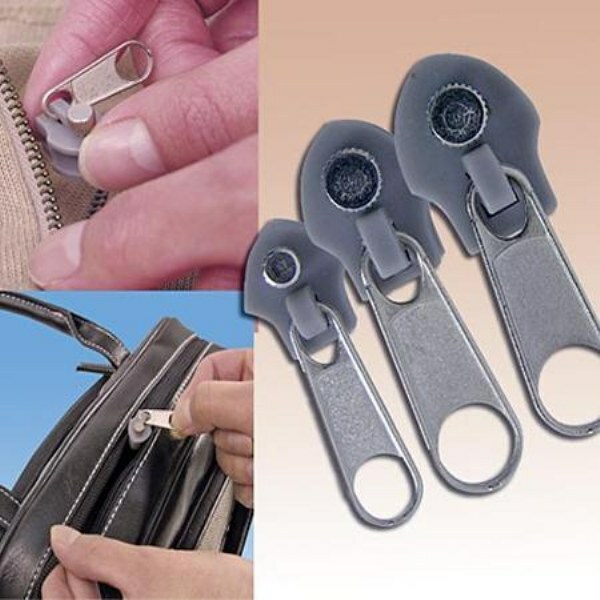 Clip and Zip to repair any zipper - it&apos;s that easy! Clip and Zip to repair any zipper - it&apos;s that easy! Quik Fix Zippers get you out of fashion binds by offering a fast, easy way to instantly replace broken zippers on jackets, jeans, pants, shorts, purses, and totes without having to sew, pay exorbitant prices for repairs, or throw away a favorite clothing item. Repairs take 2 simple steps: clip and zip. These saved me from costly bills replacing entire zippers I may by more just to have in case it happens again with other clothes.